AnyCasting’s LED Optic Solution Development is engaged in ongoing R&D on ultra-precision pattern-applied optical uniform color temperature. ​ AnyCasting is a proud supplier of high quality LED lighting lenses for different applications to meet the diverse needs of our clients. 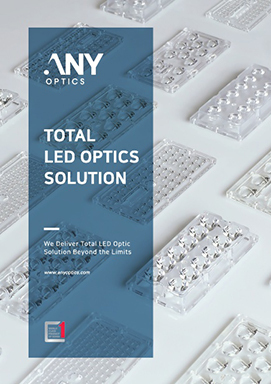 AnyCasting’s LED ​Optic Solution Department provides optical solutions suitable for the diverse application required by clients to help them to achieve their objectives ​quickly and efficiently.